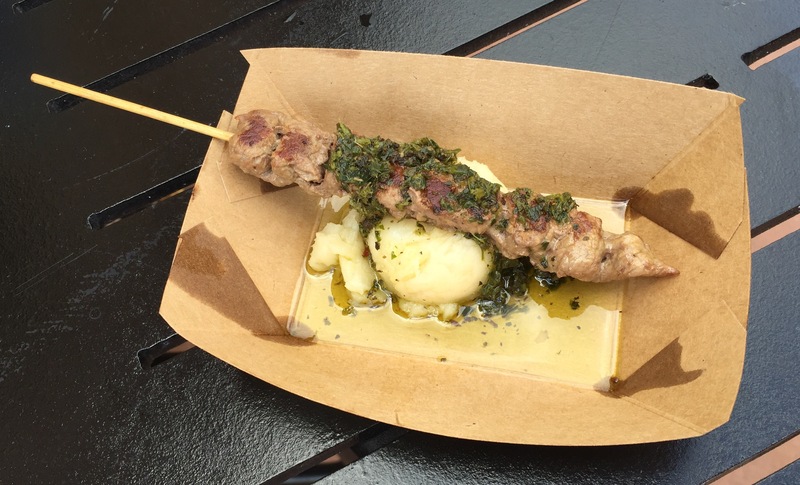 Food & Wine ’16 “Flash Report”: Grilled Beef Skewer with Chimichurri Sauce – Patagonia | It's "All in WDW"
This dish really does present a mixed performance. The beef was a bit overdone this time around. Having said that, the flavors of the purée and chimichurri were fantastic! I’d still recommend it.